Wild Encounters bring guests closer to wildlife by having a one-of-a-kind experience with select animals behind-the-scenes. Every Wild Encounter includes a personalized experience with a conservation educator, a meet and greet with a zoo keeper, and an up-close interaction with some of our amazing animals! Interactions depend on the species, but may include feeding, making enrichment, or observing training. Read the Information Packet before your tour! 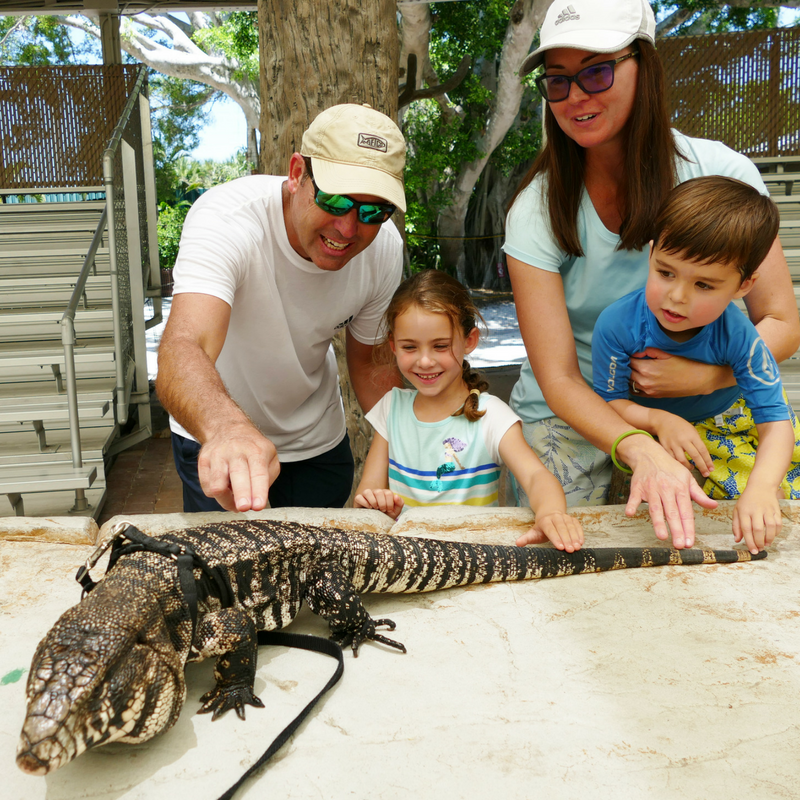 Note: our black and white tegu experience is the only Wild Encounter that allows touching of the animals. Book your tour today! Red-Ruffed Lemur Encounter: Must be 5 years old or older. Panther, Anteater, Honey Badger, Giraffe and Tegu Encounters: All ages welcome. Guests ages 15 and under must be accompanied by a paid guest over the age of 18, per Naples Zoo policy. Guests ages 16 and up may participate in the encounters unaccompanied. Each guest under age 5 must be accompanied by a paid adult guest. Have you seen our tegu in the Reptile Rendezvous show? Now you can meet this scaly star up-close at our Black and White Tegu Wild Encounter! This is the only encounter at Naples Zoo where touching is allowed! Meet at the Safari Canyon Theater, near the gift shop. They leap, they pollinate, they hang by their feet, and they sunbathe; it’s all in a day for a lemur! 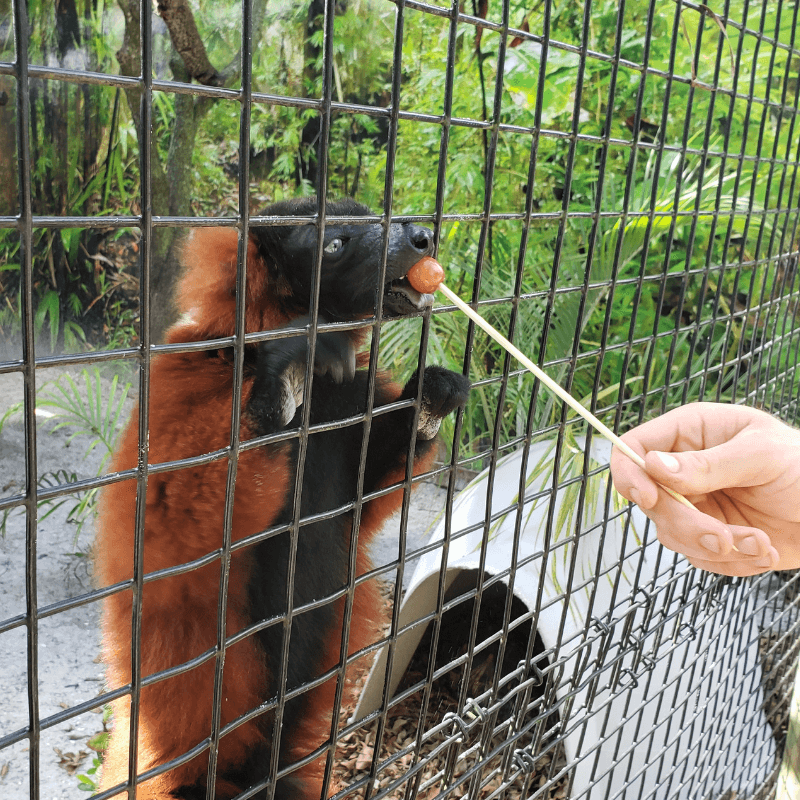 At the Red Ruffed Lemur Wild Encounter, you’ll learn all about this unique primate while you feed them a snack! Meet at the lemur exhibit near the fosa and black bears. Who said you can’t train cats? 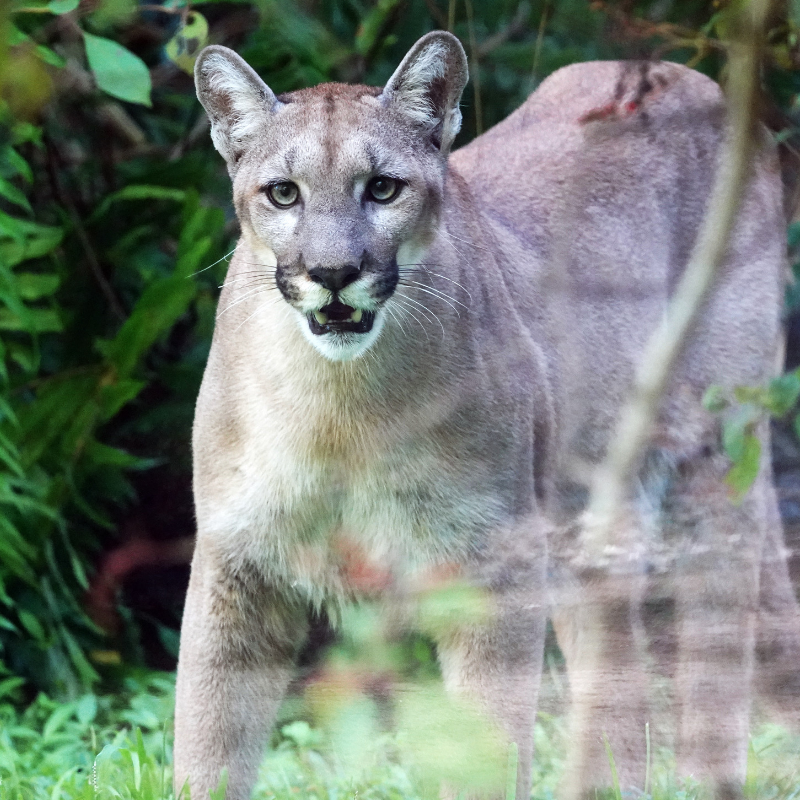 On our Florida Panther Wild Encounter, you’ll meet Athena, our 1-year-old rescued panther, and learn about her state-of-the-art exhibit and training. During her training, you’ll see what the first steps of training look like (and just how hard it is to keep a kid’s attention, no matter what species). The panther encounter meets just inside the zoo after admissions. 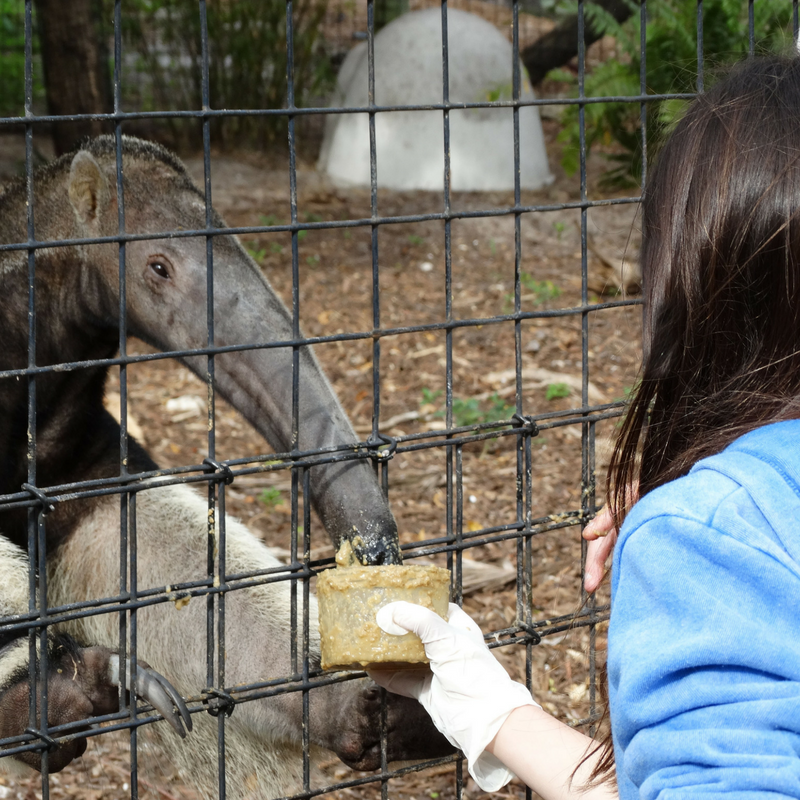 What does DeeGee the giant anteater eat at Naples Zoo? You’ll be surprised to learn it’s (mostly) not ants! Learn about this weird and wild animal, and then feed him a snack yourself at our Giant Anteater Wild Encounter! Meet for this encounter at the anteater exhibit across from Alligator Bay and the tortoise exhibits. 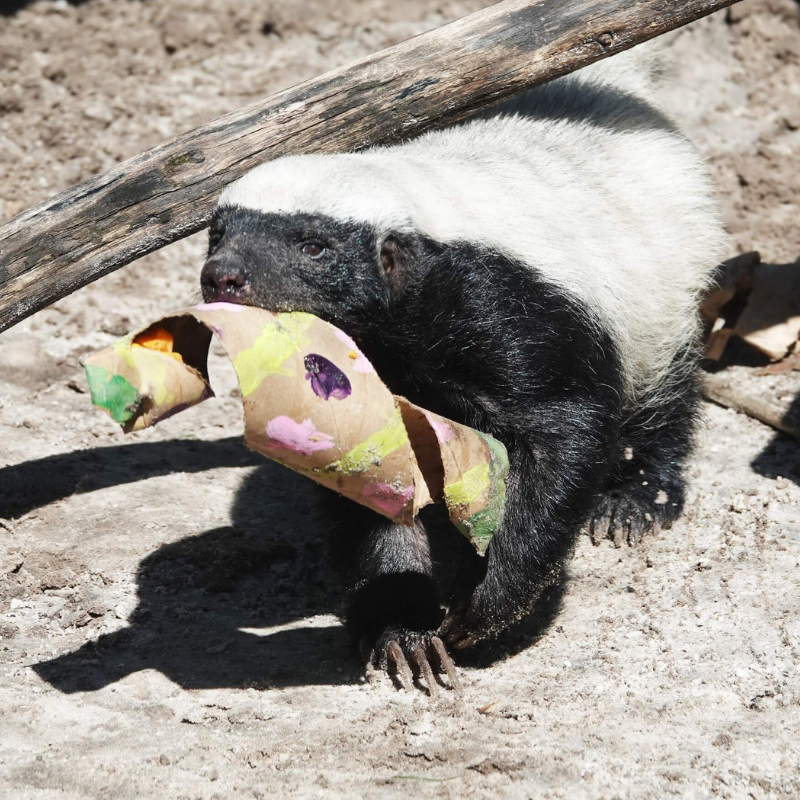 You may think the honey badger don’t care, but that’s just an internet rumor! At the Honey Badger Wild Encounter, you can help take care of our trio of badgers by making fun, food-filled enrichment. You’ll even go into the exhibit to place the enrichment yourself! Then, the badgers will be let out to find their treats! 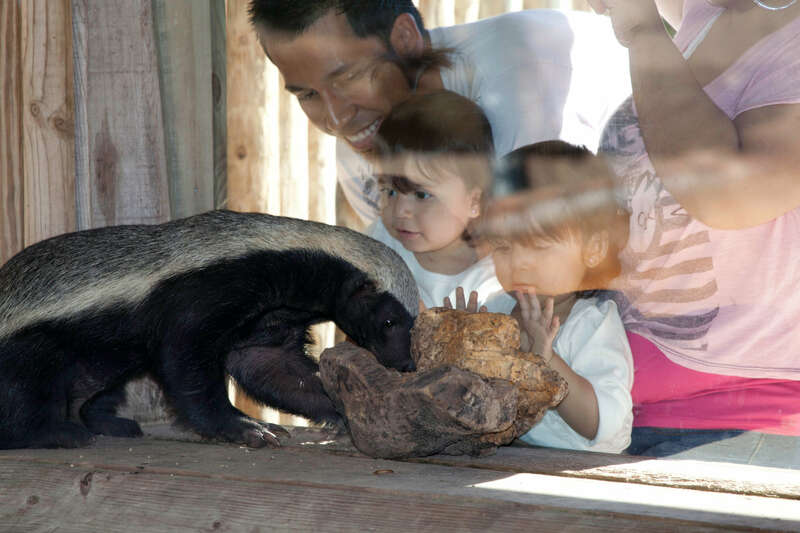 Meet at the honey badger exhibit near Lake Victoria. Did you know that many residents of Naples Zoo are artists, including our giraffes? 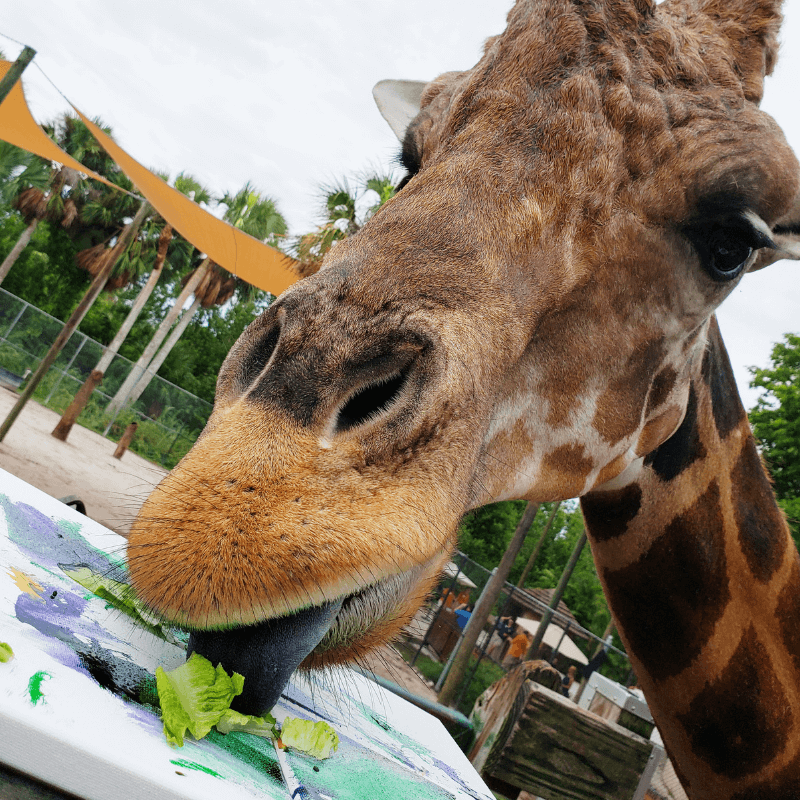 At Giraffe Wild Encounters, you can take home a personalized masterpiece and get an up-close view of these magnificent creatures while learning how Naples Zoo is helping to protect them in the wild. Meet at the giraffe exhibit. Book your Wild Encounter Today! Questions? Email education@napleszoo.org or call 239-262-5409 ext. 158!